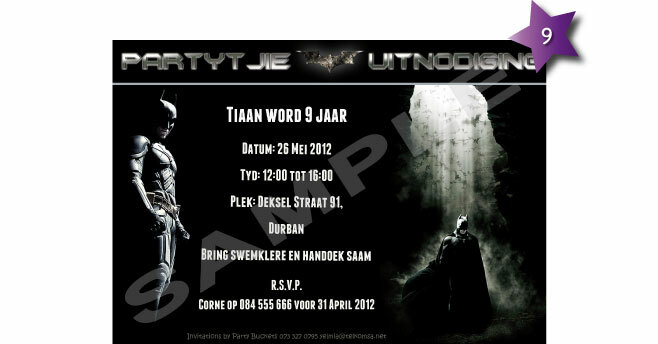 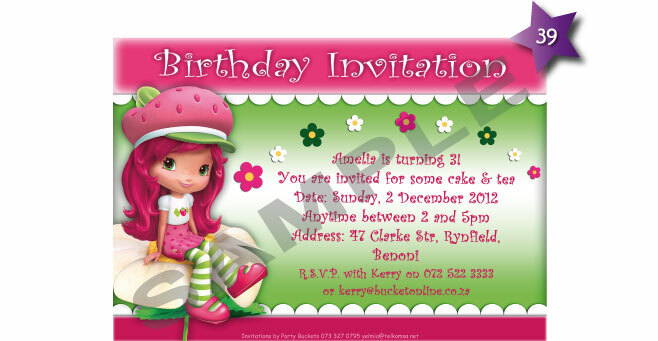 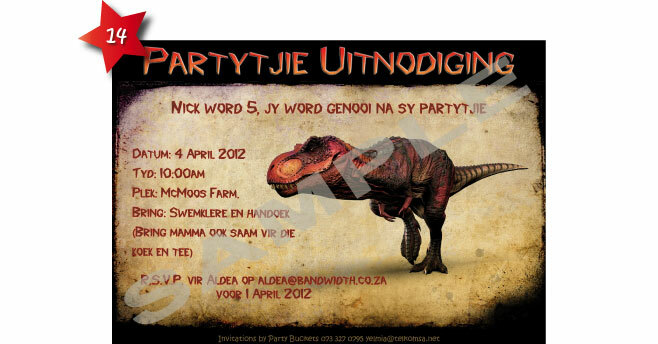 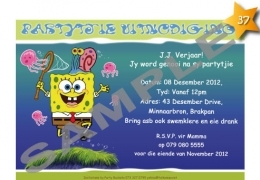 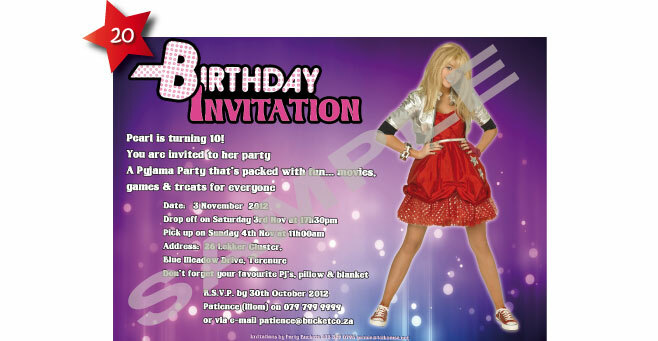 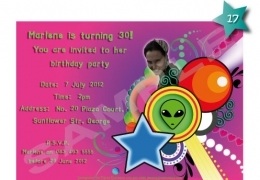 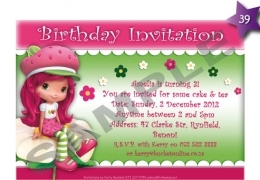 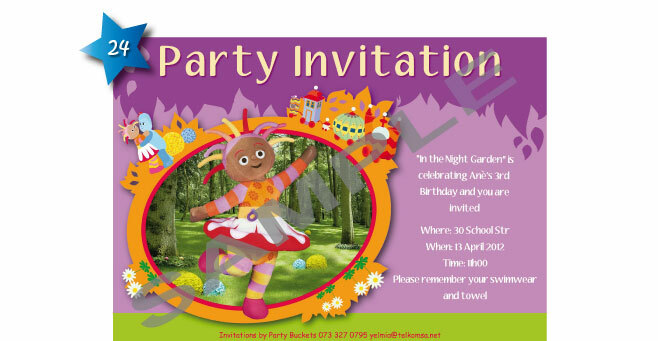 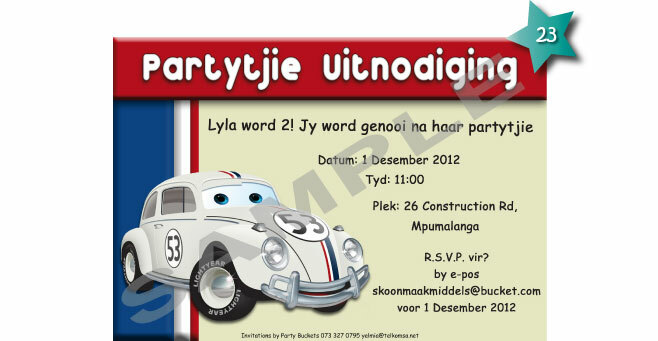 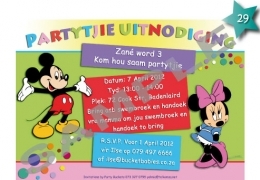 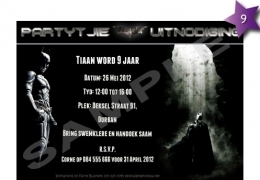 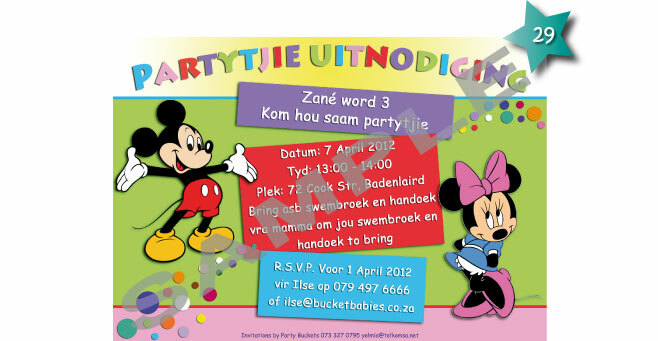 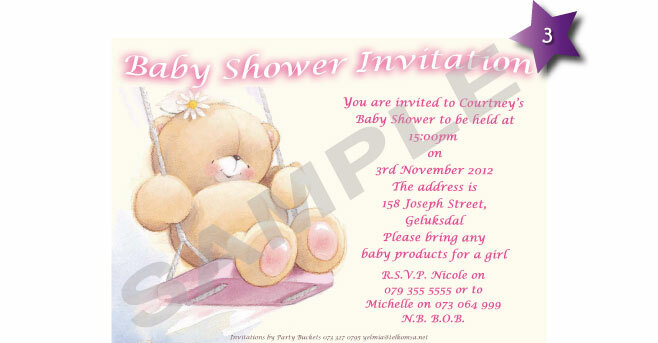 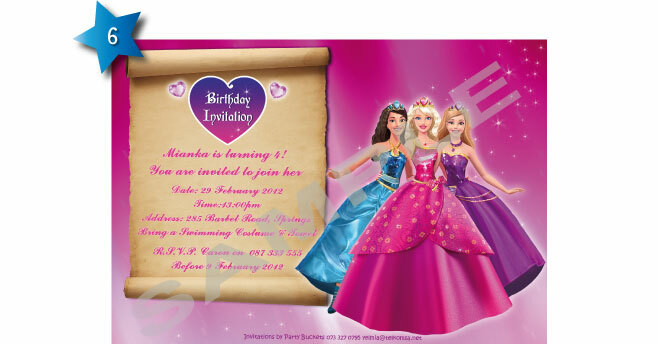 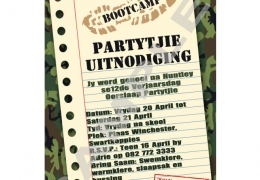 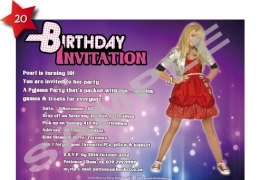 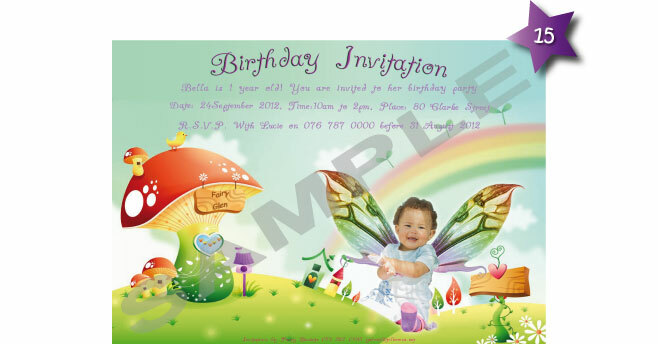 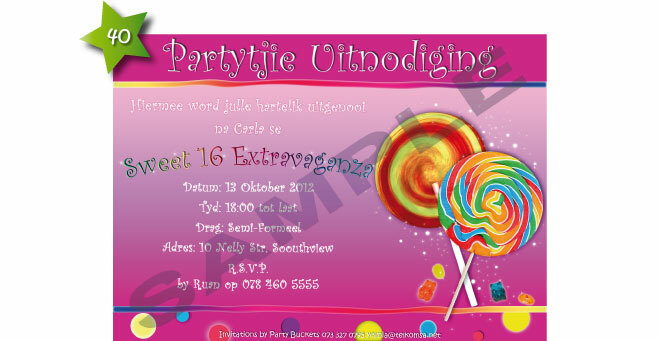 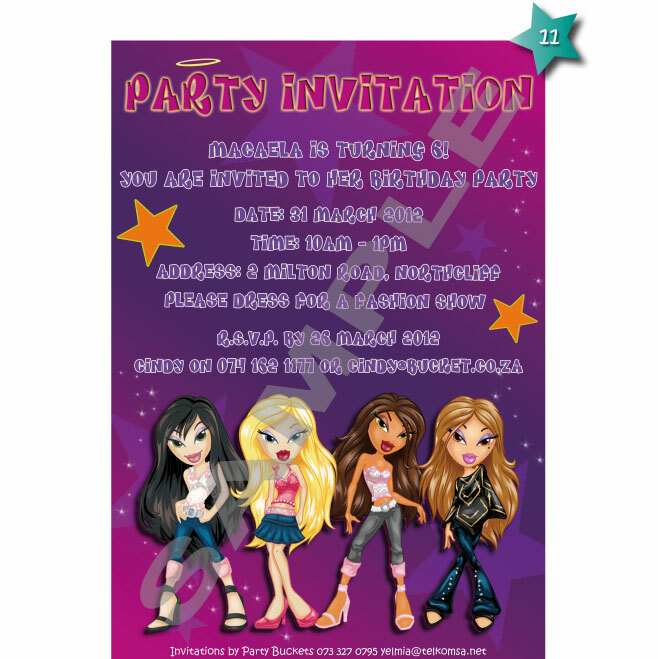 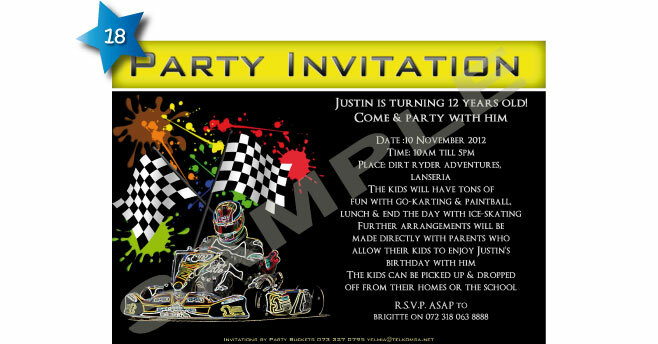 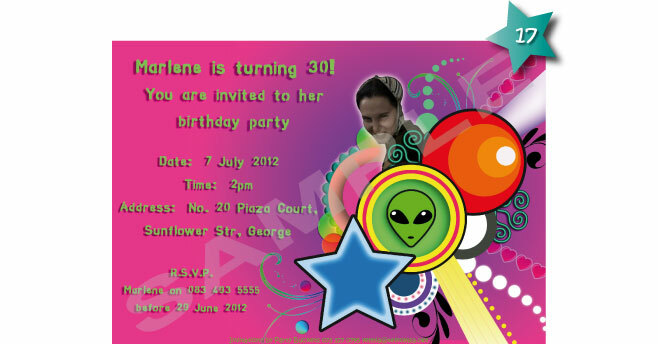 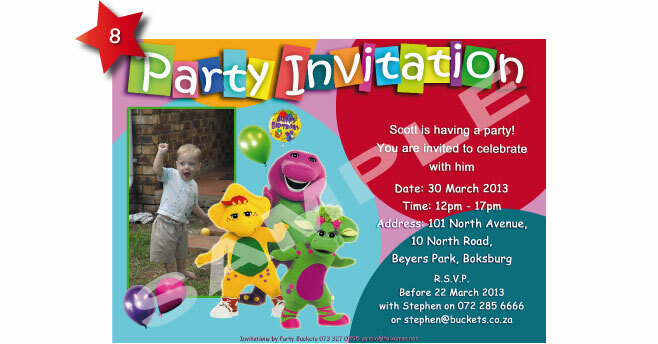 Here at Party Buckets we also design and print invitations for all occasions. 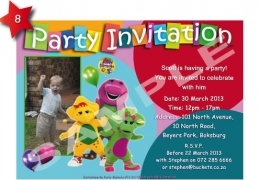 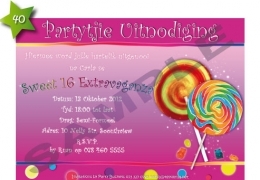 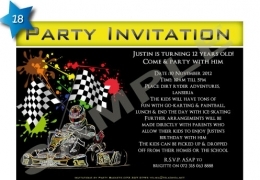 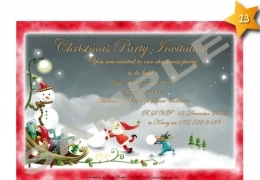 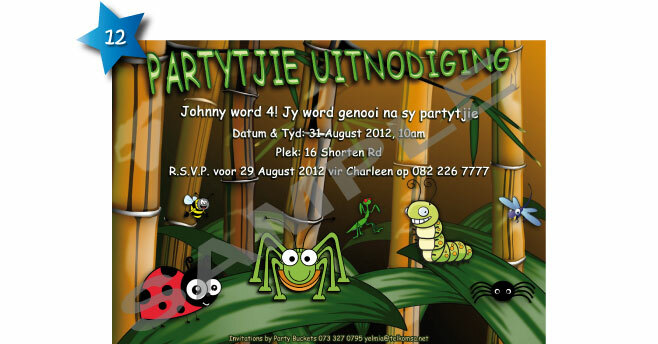 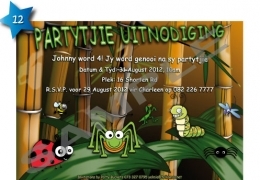 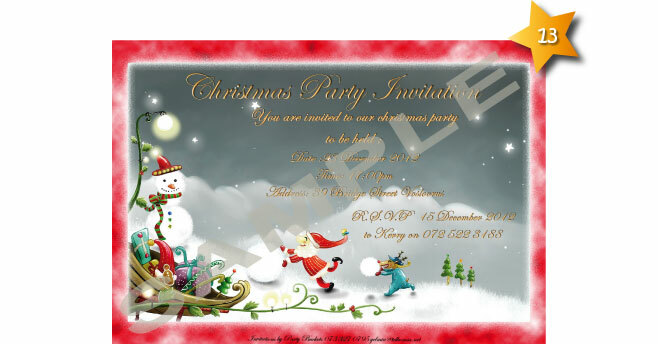 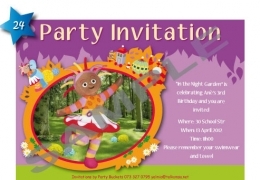 These Invitations are custom-designed to suit your taste, theme and specifications. 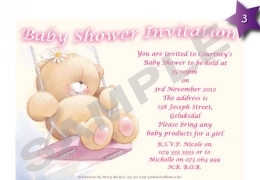 Below are some samples of the invitations which we have completed, if you have a specific theme in mind contact us for further examples or send us an image of what you might be are looking for. 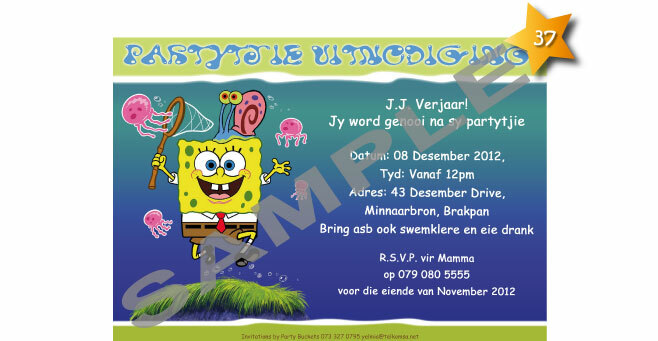 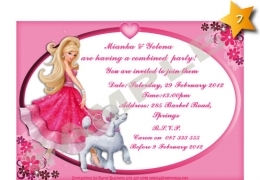 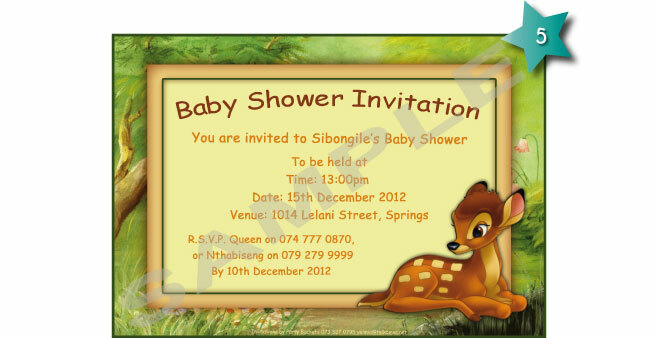 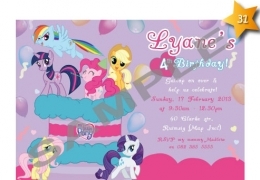 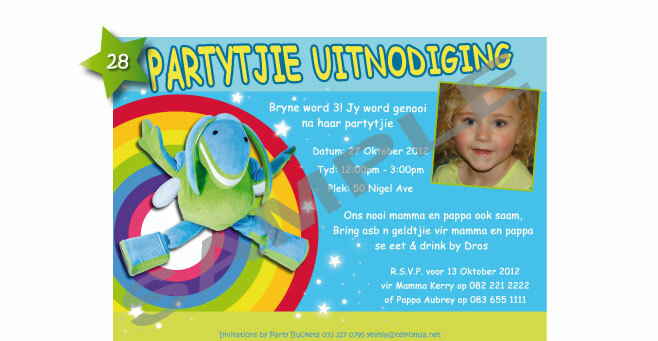 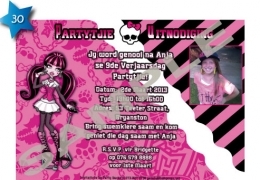 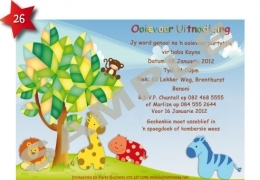 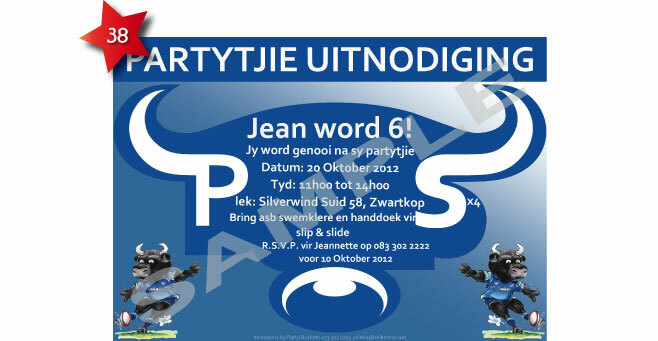 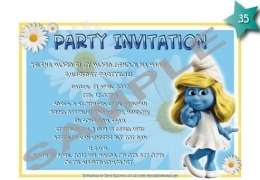 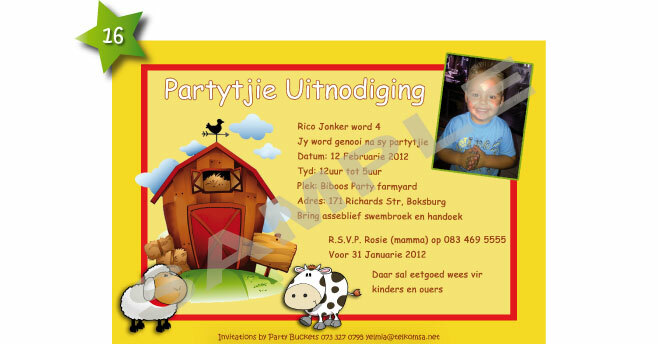 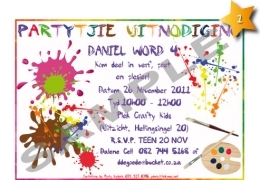 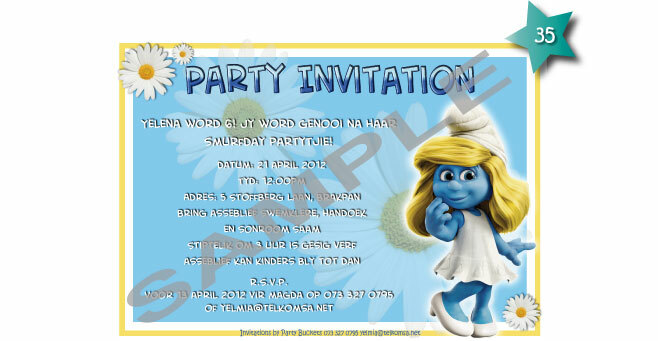 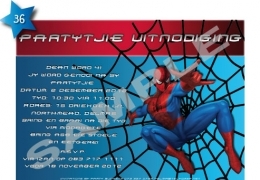 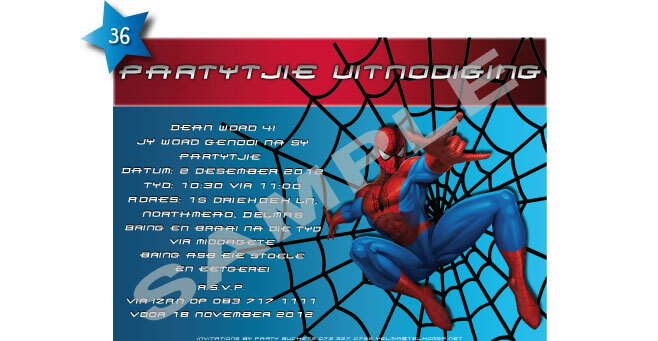 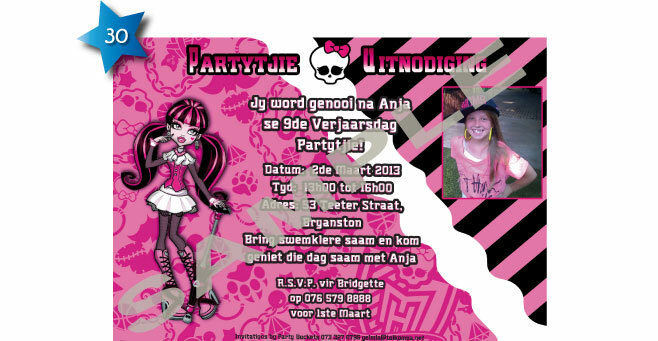 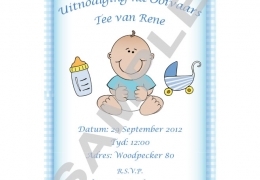 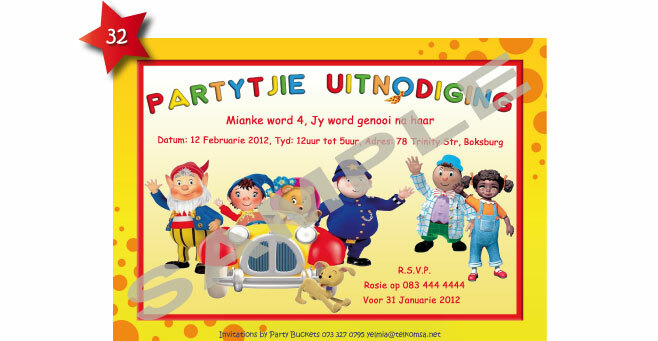 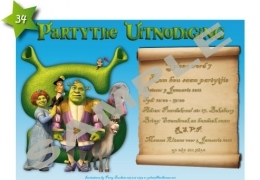 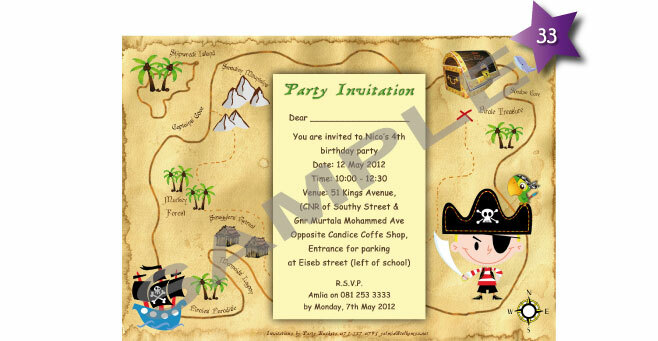 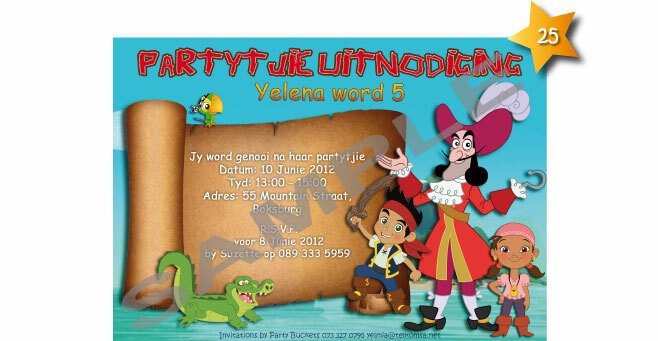 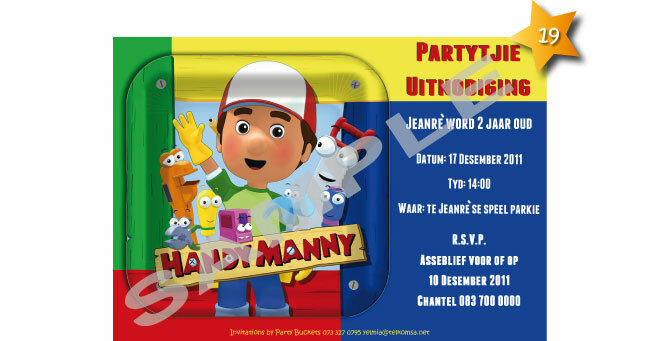 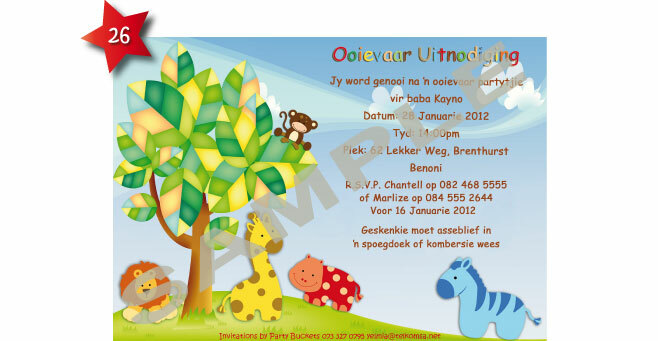 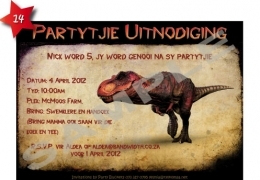 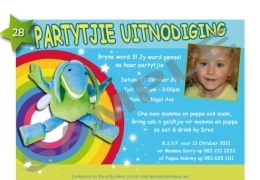 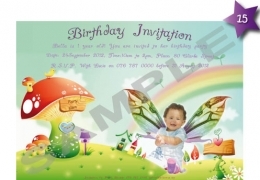 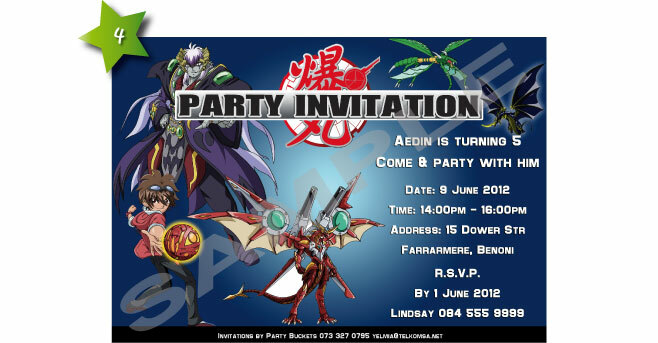 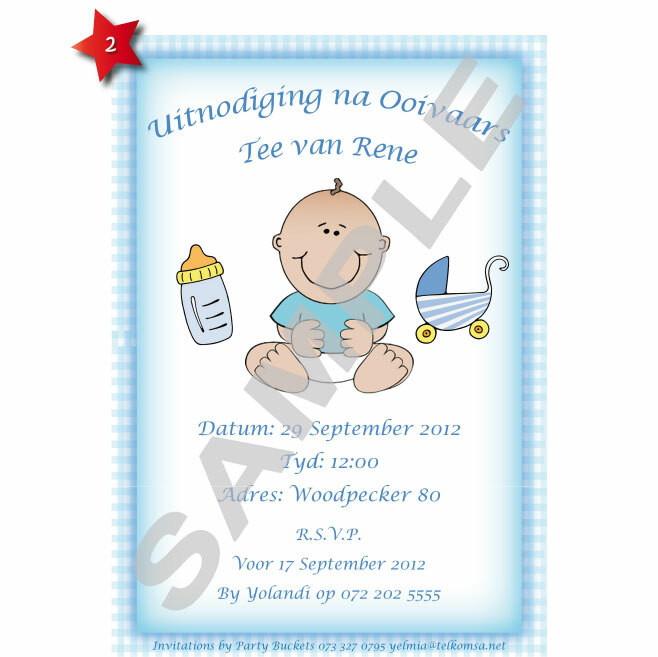 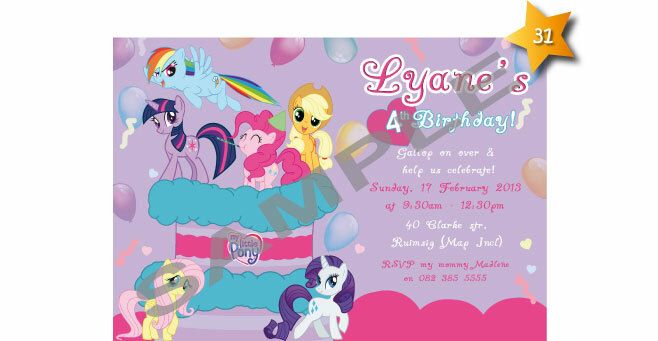 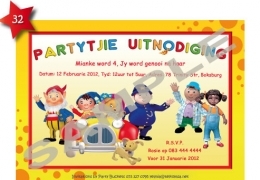 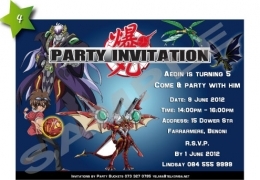 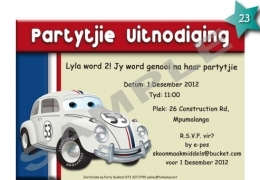 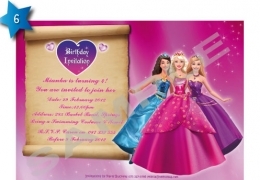 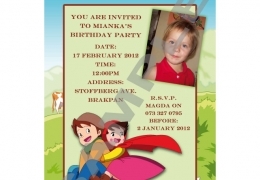 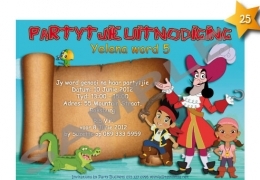 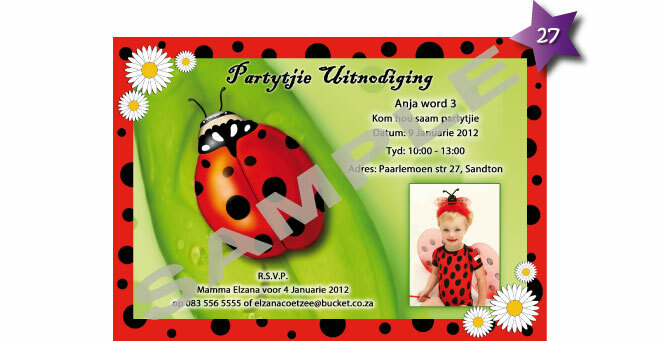 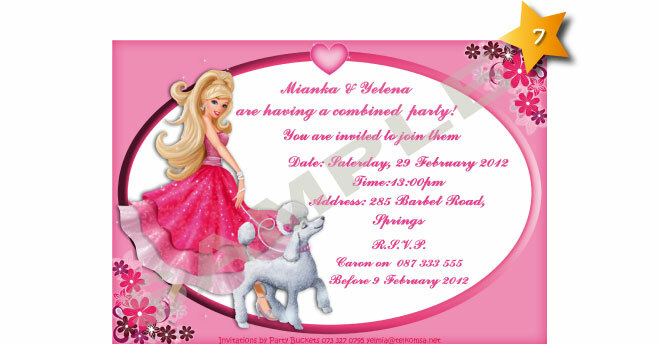 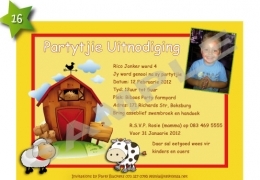 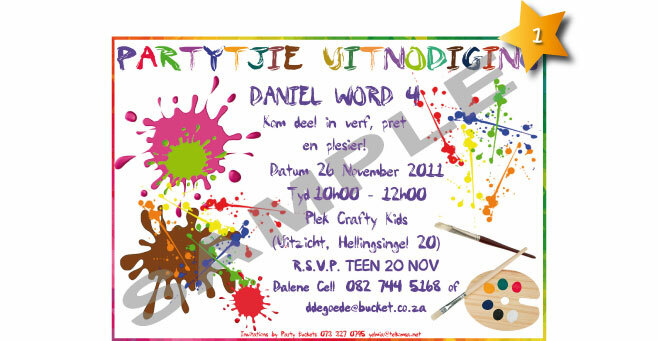 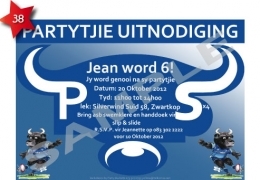 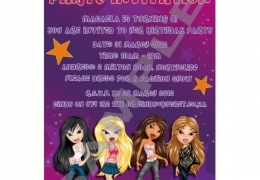 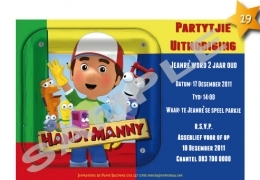 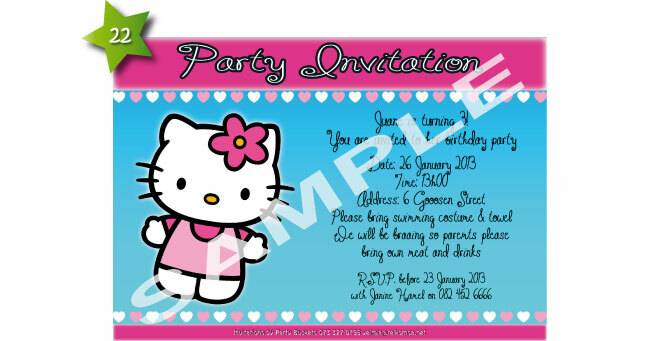 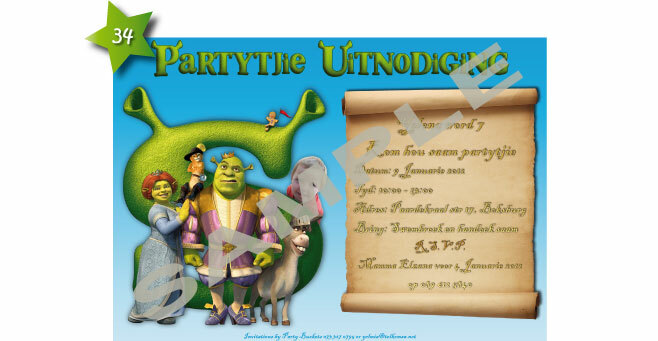 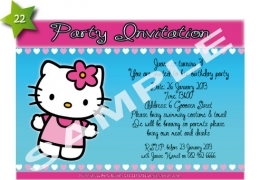 We also offer: Printed Puzzle Invitations. 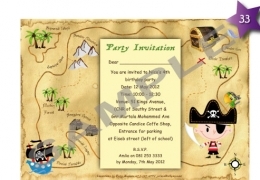 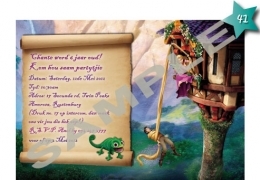 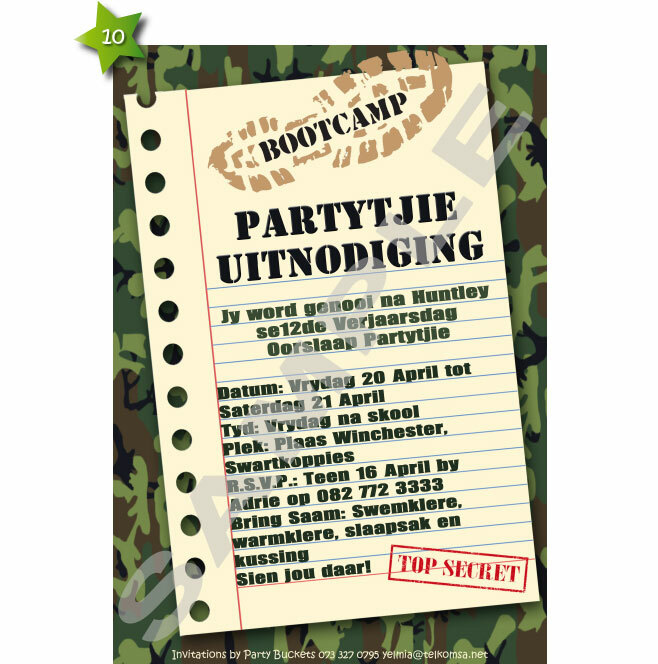 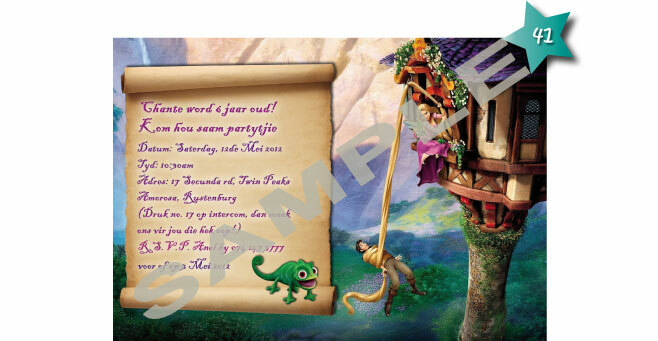 These are invitations which are printed and cut into a puzzle for those extra special events. 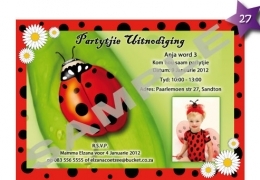 Prices for design work and printing do vary so please contact us directly for a quote. 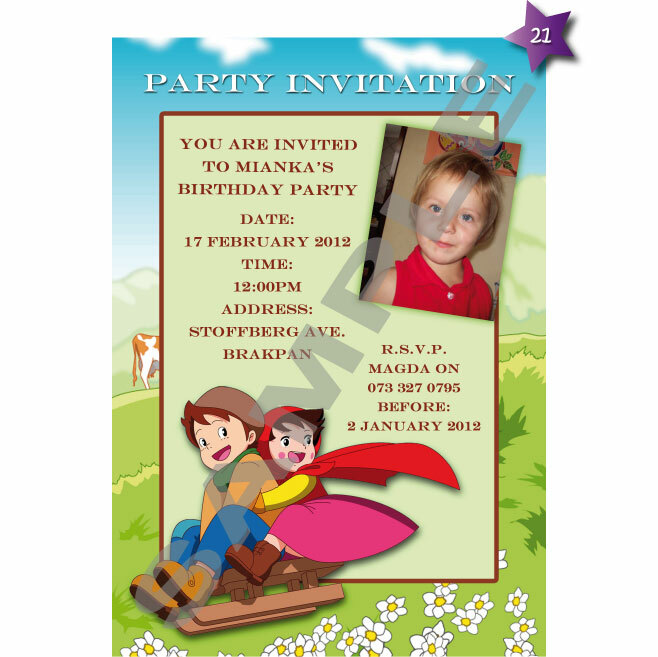 Urgent design work is charged at an additional cost so please be sure to query that with us too. 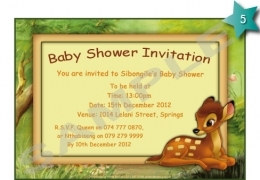 Art, Baby shower Boy, Baby shower Girl, Bakugan, Bambi, Barbie, Barney, Batman, Boot camp, Bratz, Bugs, Christmas, Dinosaur, Fairy, Farm, Funky, Go Kart, Handy Manny, Hannah Montana, Heidi, Hello Kitty, Herbie, In the Night Garden, Jake and the Netherland Pirates, Jungle Animals, Ladybird, Lalaland, Mickey Mouse, Monster High, My Little Pony, Noddy, Pirate, Shrek, Smurfs, Spiderman, Spongebob Squarepants, Sports, Strawberry Shortcake, Sweet sixteen, Tangled, Tea party, Transformers, Twilight, Venue Theme and Winnie the Pooh.